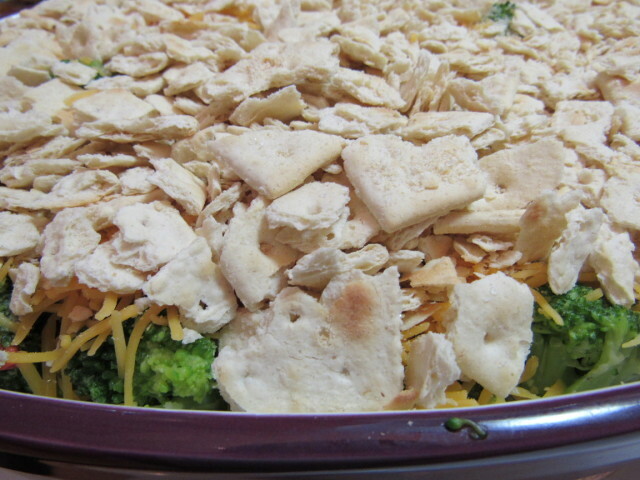 With so many broccoli casserole recipes floating around the world wide web, I had to talk myself into posting mine. Yes, it’s just another broccoli casserole recipe, but it’s mine and I want my family to have access to the recipe long after I’m gone. 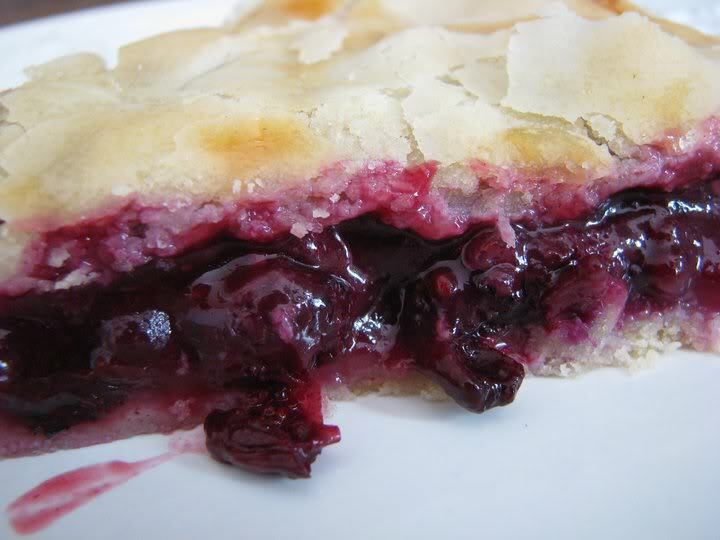 If you stumble upon this recipe, by some miracle, I hope you’ll enjoy it as well. There are a few (more than a few) ingredients you’ll need for this recipe. I gather them all together before I start because it’s just easier and faster that way in my tiny but cozy kitchen. Here we go now. If you’re one of these Suzy homemaker types who wants to carefully and lovingly cut each and every broccoli florets off from a fresh head of broccoli, use 2 to 3 heads of fresh broccoli. I’m actually a Suzy homemaker type cooker but age and arthritis are my enemies today, thanks to the rain we’re having. Less chopping means less pain. 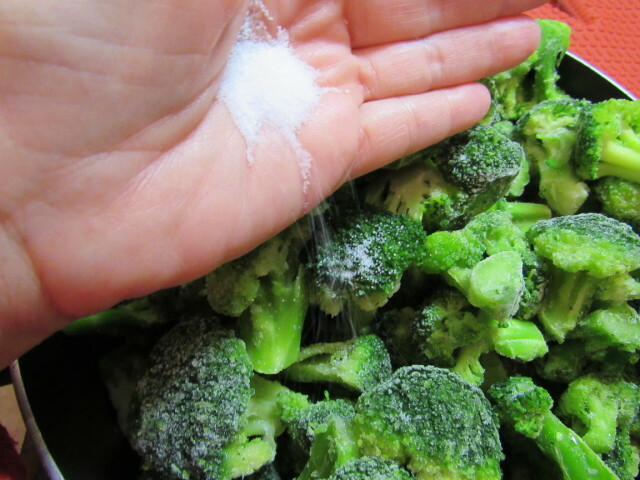 Add the broccoli florets to a large pot with 1 cup of water and 2 teaspoons of salt. If you’re not big on salt, 1 teaspoon will do. 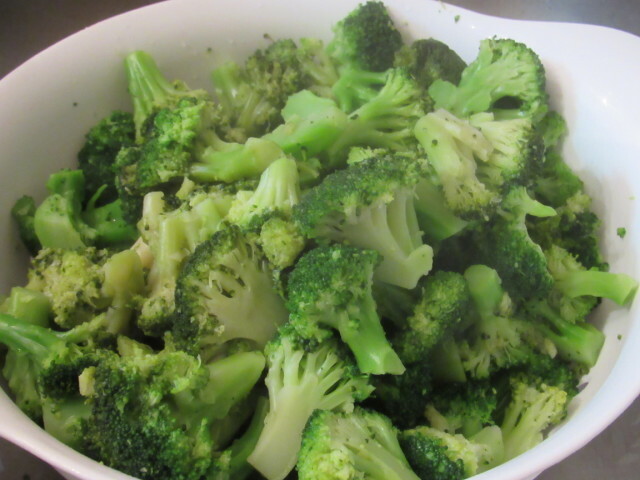 Cover and cook over medium heat until the water runs dry and the broccoli is a pretty bright green color. While the broccoli is cooking, combine the eggs, milk and flour (in that order) and stir as you add. Whisk might be a better word to use so we’ll change that. Whisk as you add. There. Changed. Melt the butter and whisk that in the egg/milk/flour mixture. Drain the broccoli to be sure the water is out. 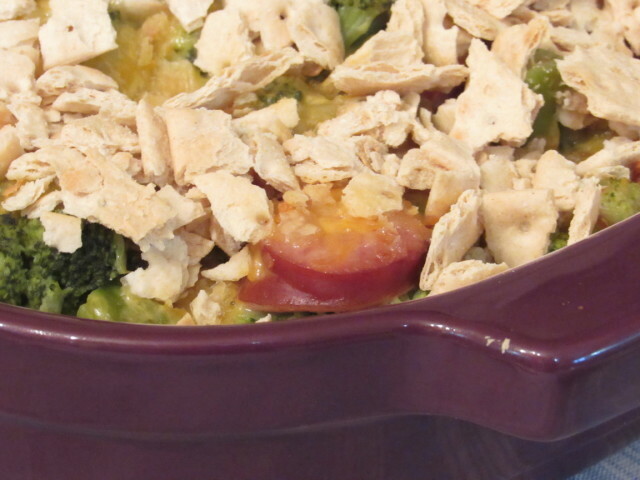 Water in casseroles is a no-no. 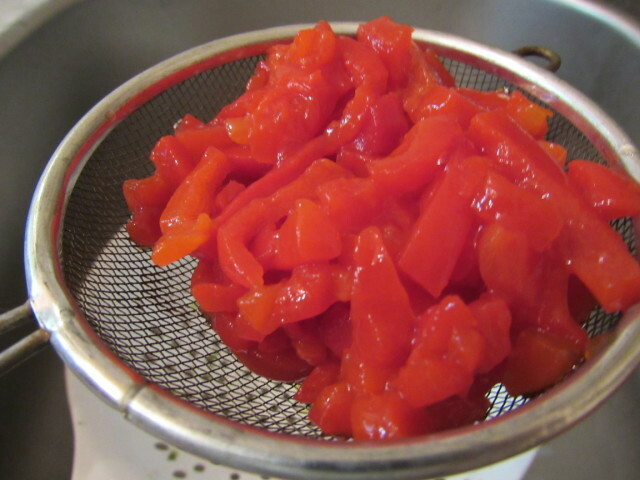 Drain the pimento and add it to the egg mixture as well. Stir it in although it’s mainly going to float on the top. 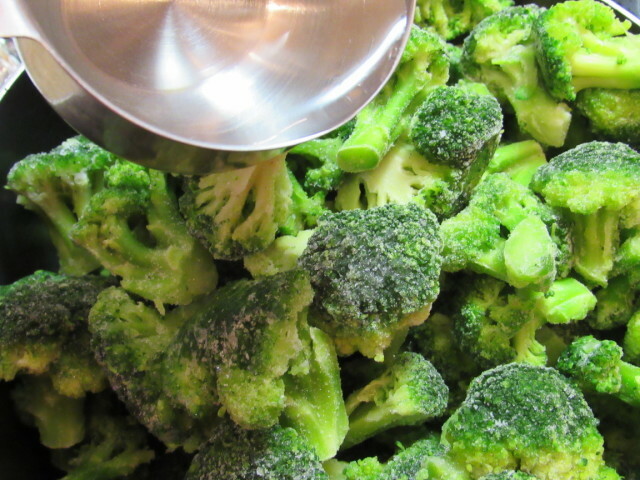 Add your broccoli to your casserole dish. I use my large ceramic KitchenAid dish. You can buy the 4 piece set on KitchenAid’s website for $149.99. They are worth every penny. 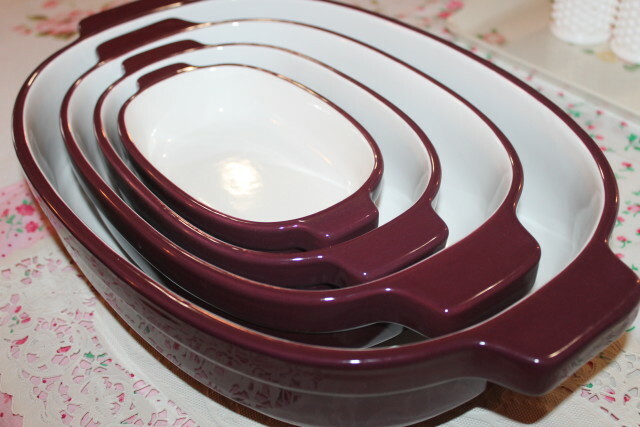 I’ve gotten more use out of these dishes than anything else I’ve purchased for my kitchen. 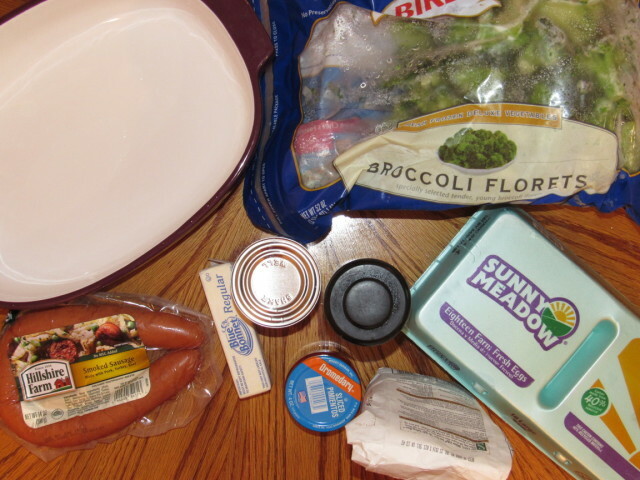 Slice the sausage and add it to the broccoli. Then add the egg mixture. I guess I should have added the egg mixute to my Blendtec Blender to get the bits of flour mixed in better. But I didn’t. Refer back to age and arthritis. Today is a day for cutting corners. I stir it up just a bit and add oooodles of cheddar cheese on top of it. You thought I was kidding about that? Today I used mild and sharp. 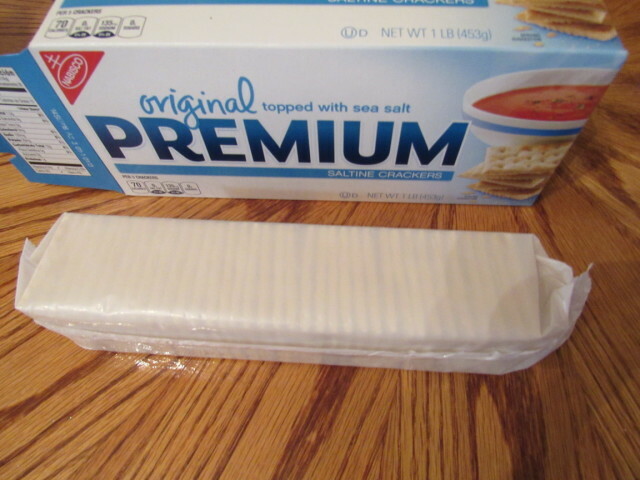 Lastly, I add 1 whole bag of saltine crackers, crushed, on top of the cheese. I cover with aluminum foil and let cook for about 45 minutes. Don’t use heavy tin foil. There’s a time and a place for heavy duty tin foil, this isn’t one of them. 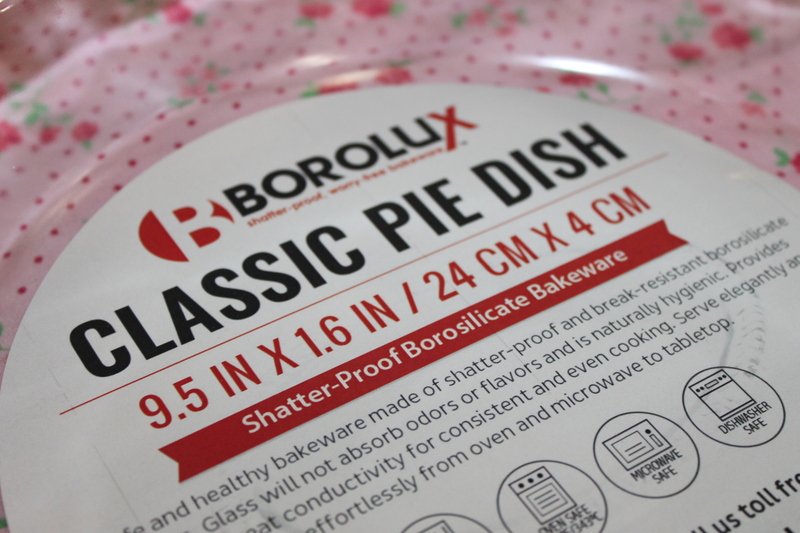 A lid will work as well if you have one for your dish. Uncover and bake an additional 15 minutes or until the saltines are brown. One thing I want to state is that this casserole is not as salty as I normally like but because I cook for different people with different health/food issues, I don’t add much salt to this, or any of my recipes. 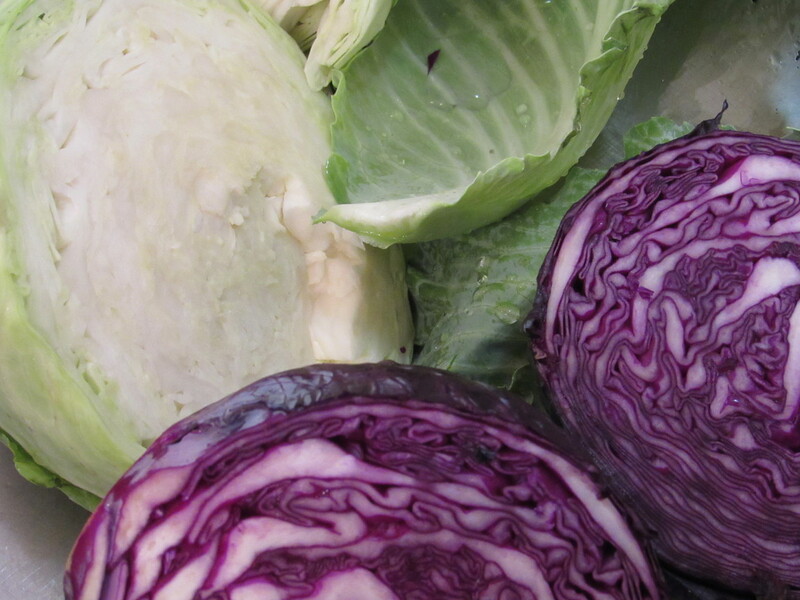 You’ll probably want to add salt and pepper like I do when I dish it up. 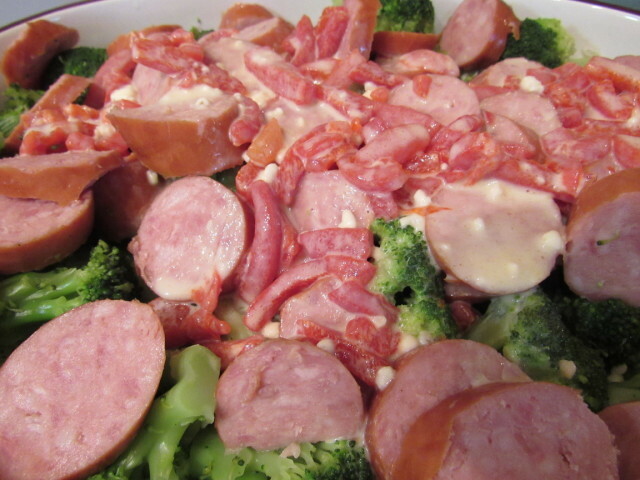 This dish can be made up the day before baking but if you’re like me, when I see that combo of broccoli and sausage, a day later is a day too late. I have company for lunch Monday – Friday, every week. I enjoy cooking, baking, and entertaining is enjoyable to me as well. If there’s a party going on, I’m usually asked to host it. I spend more time in my kitchen than I do anywhere else in my home. There are usually 4 of us for lunch and I fix this casserole one day and warm up the leftovers the next so it feeds us twice. Time got away from me today so I didn’t get to brown the crackers on the top like I normally do. My lady friends didn’t care, they dug in and when I warm it up for lunch tomorrow, I’ll brown the top then. 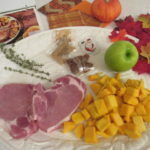 If you try my recipe, please let me know how you liked it or what you added to it. 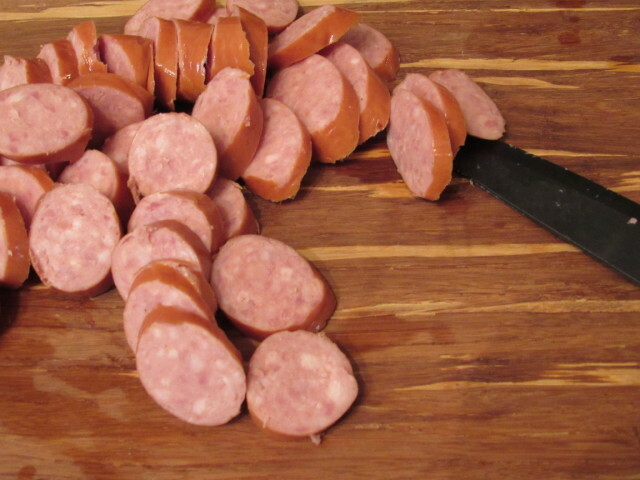 I like to alternate the sausage with 3 chicken breast and the evaporated milk with mushroom soup, cream of chicken soup or even sausage gravy (12 ounces). 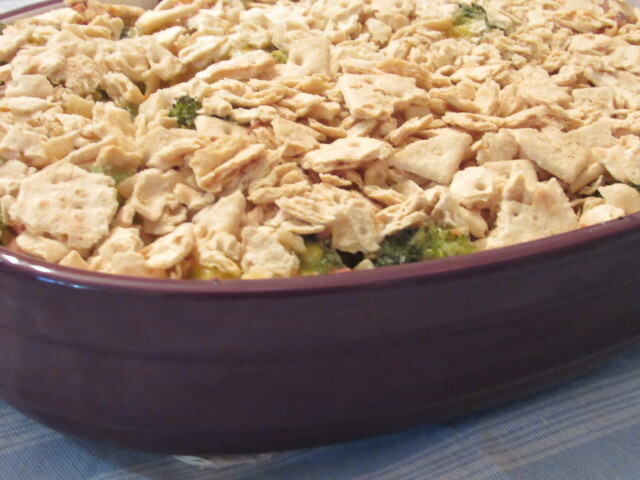 This is a great starter broccoli casserole recipe to get your creative juices flowing. As far as I know it’s unique to only me which is why I finally talked myself into posting it. 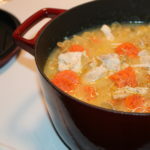 My kids love it and anyone with kids knows that it’s rare to create a recipe that everyone will devour. 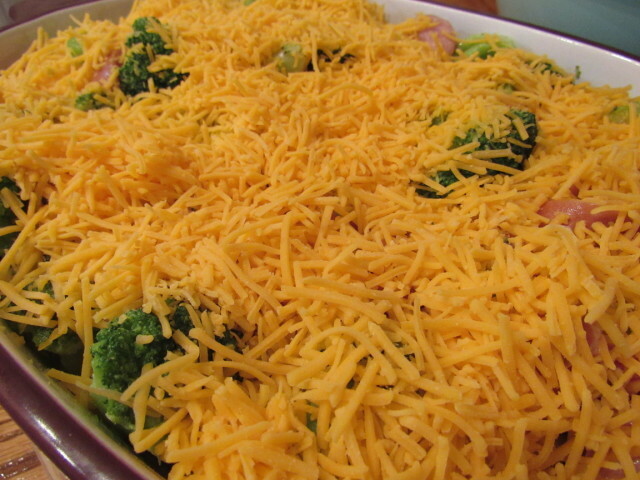 Do you have a favorite broccoli casserole recipe you’d like to share in the comments? I can’t wait to try this recipe. I like anything with broccoli. This looks and sounds super delicious and easy! I Think my kids would really enjoy this. This would be perfect for a family dinner. I’m going to pin your recipe. I’m excited to try it! This looks like a very hearty meal that my whole family would enjoy. 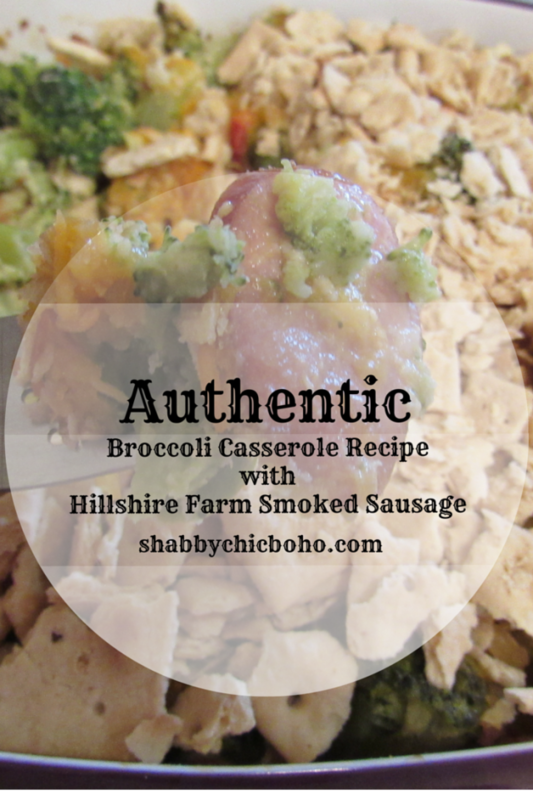 The smoked sausage certainly sounds like a delicious addition to the broccoli casserole. Can’t wait to try this! This looks delicious! Sounds like something my family would love. I love making all kinds of casseroles. I love that this one doesn’t have many ingredients and it looks simple to make. This looks so delicious and easy to make. I will have to get the ingredients i need so i can make this for dinner this weekend. 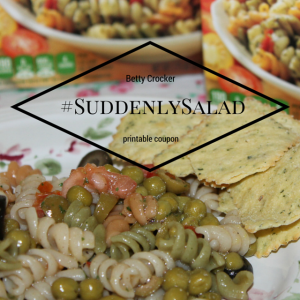 i love recipes that are loaded with veggies, this one looks like one that my whole family would enjoy. Broccoli casserole is seriously one of my favorite things ever! I love how you took what is typically a side dish and made it a delicious main! This casserole sounds good. I doubt I could pull this dish off. My husband thinks broccoli smell horriblen. I would rob make it when he isn’t here. This would be perfect for this weekend’s family dinner. I’m going to save your recipe. I’m excited to try this. 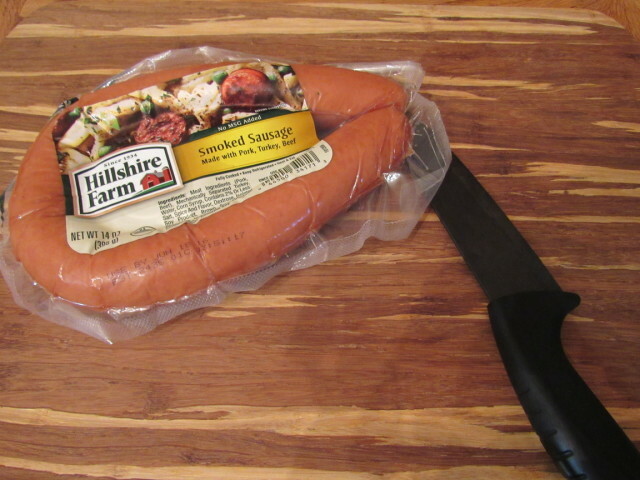 I love smoked sausage but I’ve never tried it in a casserole. Your recipe sounds really good! That looks delicious! My kids love broccoli but I hate cooking it the same way every time! I’ll have to give this dinner a go! That looks absolutely marvelous! I live in the south, home of the casserole, so you know I’ll be giving this a try. What a great recipe! 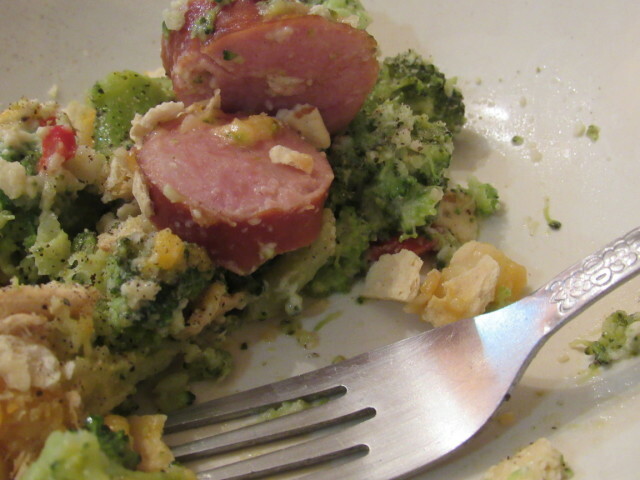 I love broccoli and smoked sausage. This sounds like a dinner option my whole family would enjoy!